Once your order is placed you will receive an email with links to download the product kits. You will also receive a usb flash drive with all the design work pre-loaded onto it. 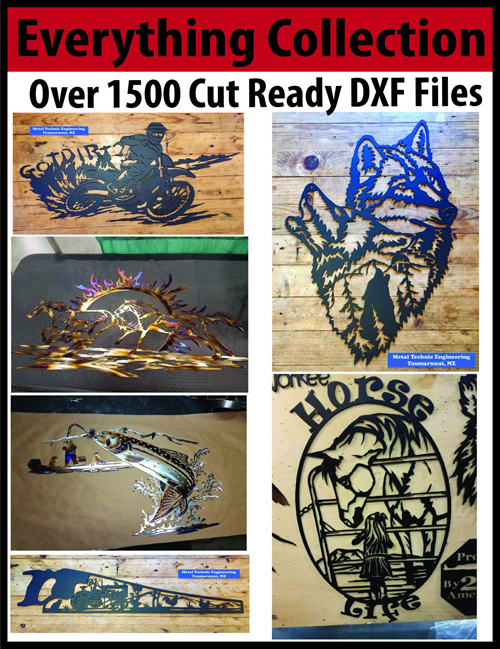 DXF, AI and SVG files are available for you. The Everything Collection includes all product kits currently listed on the website! Click the product kit name to view the contents of that product kit!